When I was registering for my first semester of college, there was a moment when my brain shut down. For a moment, my most reasonable, most logical brain cells revolted. And during this brief mutiny, my hands somehow signed the rest of me up for an introductory French class. That unfortunate event happened almost two years ago. I am currently in my fourth and final semester as a French student. And oddly, I still am not even remotely decent when it comes to conversing in this romance language. So when my professor told our class about a French conversation table on Tuesdays, I decided that I should probably make room for that in my schedule if I ever hoped to be able to speak this language without a text book in front of my nose. There are only three of us who show up on Tuesdays: a Croatian basketball player named Jere and another guy from my class named Cody. A few weeks ago, Cody had just returned from Boston where he had been attending his mother’s wedding. We began to talk about wedding traditions in the U.S. and how they differ from wedding traditions in Croatia. The groom and his party are at one house and the bride and her attendants are at another. The separate parties eat and drink and get ready for about two hours before the ceremony. When the groom is ready, he and his group go to the bride’s house to join the female party. They go in and a small band plays a Croatian folksong in an attempt to get the bride to come out of her dressing room. She coyly peaks her head out the door and shakes her head “no.” She shuts the door and the crowd begins performing a string of folksongs, trying to coax the girl out of her hiding place. He is our groom, who came to pay the dowry of our sins. He took our sin and our shame and paid for them all with His blood. He became sin, who knew no sin, so that we might become His righteousness. We are His. 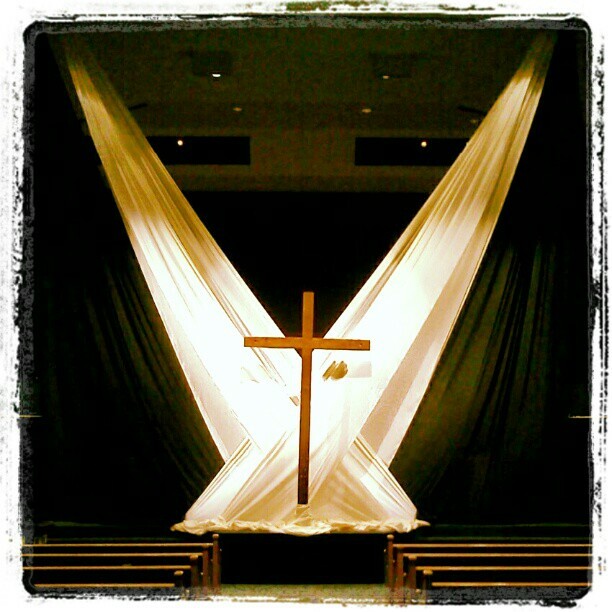 Because our cross was stained with His blood, we are called the beloved Bride of Christ.